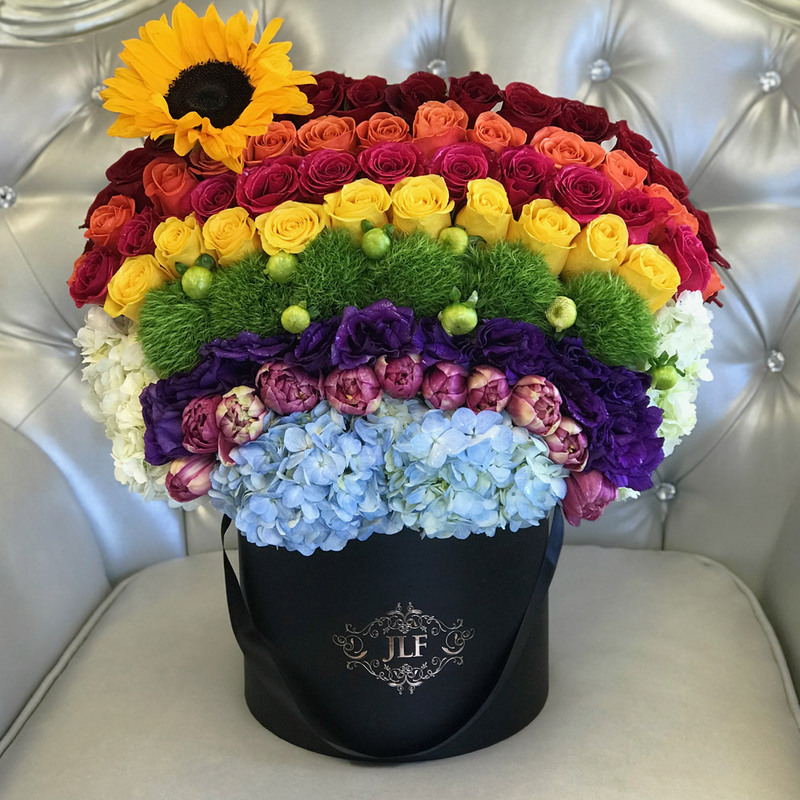 Originally designed and delivered to Miley Cyrus for her birthday, this colorful arrangement will definitely make the recipient smile with its rainbow tones! Aligned carefully one by one, this beauty is composed using classic roses in red, orange and yellow and is put next to purple lisianthus, hydrangeas, green hypericum berries, green dianthus and atop a sunflower. The arrangement in the photo is in our Medium size box.